Valbiz V8 is the latest representation of our valuer specific software, first released in late 1995. V8 doubles the data feeds providing both Property and Sales record updates and includes QuickMap aerials and maps as standard. You can add your own information, documents & photos as well as track, manage & invoice your clients, reducing risk of conflicts of interest. Valbiz V8 Professional is bigger and better. There’s now up to date and detailed property information available for every property in your subscription area and we’ve made those easy to find with pre emptive address searches. This is in addition to our traditional feed of settled sale records. We have provided you with your own property centric database with automatic Property information updates direct from the Local Authorities. That’s more detailed council information, including a history of RVs, than any other system on the market. You can still add your own information or your own take on a property, which makes it the most flexible as well as the most comprehensive property and sales database available in New Zealand. To complement your new Property records Valbiz V8 Professional also provides free dynamic access to aerial and map images for each Property, delivered up to date from New Zealand’s most successful and widely used geospatial package, QuickMap, and that’s regardless of whether or not you’re an existing QuickMap user. Job Management, tracking and invoicing are now included at the ValBiz V8 Professional level. Combined with Document and Photo storage and complementary cloud hosting you can retain all your key information together in your own Property centric database. Capture your company’s IP in one place for future use and for everyone in your firm to benefit from, at the same time avoiding conflicts of interest. To add to all this our reporting and system outputs are getting better and better all the time and our default reporter comes with engagement letter templates as well as Core Logic and Valocity templates as standard. So even at this base ValBiz V8 Professional level we have more than doubled the amount of data that we send you and provided you with a package you can now use to manage your jobs and clients. Headway Cloud based Valbiz Hosting is now complementary and covers backups, upgrades & technical support. All you have to do is use it! Valbiz Analyst expands the core of Valbiz Professional, incorporating powerful Sales & Rental Analysis tools, giving your business the competitive edge. Powerful Residential Sale & Rental A Break down Sales and Rentals into their component parts and use powerful search tool to quickly assemble comparables based on those attributes. Industry specified Commercial Sale & Rental Analysis including multiple Analysis Summary Report output reports options complete with photo’s. Valbiz Enterprise is the ultimate workhorse to complete your valuation practice. With all Professional & Analyst features, Enterprise provides everything required to drive your business to the next level. Comprehensive security & reporting features empowering practice managers. Valbiz requires a minimal footprint on your PC. As the database is run on our hosted platform, you are required to install a thin client application to connect to your database. What are the key new features of ValBiz Version 8? Can you be a bit more specific about the new features? Realestate.co.nz property image feed add on. Are you getting Property Data Feeds from the councils as well as Sales Feeds? Yes. Historically Valbiz has only been updated with sales records. From Version 8 council property data will also be automatically delivered, providing you with up to date council property records for your subscription area. This will include new builds, newly created subdivisions and GV updates. Are you changing how you search and find a property record? A new predictive address search will be provided to make it super quick to find a specific Property record and all it's historic council information. Also in addition to Localities, Suburbs have been overhauled so we can introduce up to date Suburb searching, (based on the 'Fire Service Suburbs'). What Add On's will be bundled into the cost of Version 8? Valbiz Version 8 will be complementary hosted by Headway Systems. The extremely popular Document and Photo Manager will also be included as standard. Job Tracking, Invoicing and Debtor Management are included as standard and everyone will be given access to the Reporter for no extra charge. For a single user this represents $663 p/a of giveaways. Does the Reporter have fixed templates or are they configurable? As standard we supply both Valocity and Core Logic Clearing House approved templates. You can build your own as well however we suggest that the Report Writer is more suited to simple formats. It may be the case that you use it for the majority of your work and use your old word template approach for unusual or more complex valuations. For a fee we are able to design and implement your own personalised Report template. How do I set up ValBiz to accept Property Update files? This will be done by us so no need for you to do anything other than decide to adopt Valbiz Version 8, whereby our technical team will contact you to organise your new or migrated system. What new data is available? Council District Valuation Roll (DVR) Property data feeds are now included but also updated Suburb (Fire Service) data for searching. QuickMap aerials and Map images of a property come as standard. How historic (far back) will the councils property data go? In general the data starts from December 2013 although it varies slightly from Council to Council. How often will the property records be updated? Most Councils supply either weekly or fortnightly property updates with a few supplying them monthly. Will incoming property data automatically update the property record? Yes. This will be displayed on the 'Council Details' tab on the property screen. Will new Rating information be automatically loaded and will it overwrite the previous details? Yes, the update will overwrite the data held on the 'Council Details' tab on the property screen. Don't fret however, each property update will produce a new line on the property records new GV History Table so you can see the properties history of changes. Can I add any additional GV data prior to your history provided? Not at this time. GV History records are currently read only. If there is a demand for this we will consider introducing this capability in a later version. What happens to any changes I have made to pre V8 Valbiz Property records? On migration to Valbiz V8 a copy of your pre V8 Property record is created and made easily available to you on the Properties 'Alternate Details' tab. You can still generate a Property Report based on this Archived information. The Properties main 'Council Details' tab will show automatically updated council data only. What happens if I know the council property data is inaccurate & change it once the DVR data is loaded? If there is an issue with the description of a property please let us know about it so we can raise it with the relevant council to be corrected. If you change something on a Version 8 Valbiz Property record 'Council Details' tab and not inform the council of their error, they will keep sending out the same mistake which will overwrite your correction in Valbiz. However you can go to the Property records 'Alternate Details' tab and press the 'Copy Council Detail' button (copies over whats in the 'Councils Details' tab), then make changes to that information to enable whatever you wish to be immediately included in your Reports. What happens if I have already manually added a property record for a new build prior to moving to V8? As long as you used the correct Roll / Assessment / Suffix then that record will be linked with the latest DVR details and the details you added will be available in the Properties 'Alternative Details' tab. 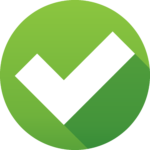 If you have loaded a property with an incorrect Roll / Assessment / Suffix, then the property status will be marked as 'Unspecified (X)' and will look like a cancelled property as it cannot be linked to an active DVR record. Can I amend or change the new Property details and will they be overwritten? You can go to the Property records 'Alternate Details' tab and press the 'Copy Council Detail' button (copies over whats in the 'Councils Details' tab), then make changes to that information to enable whatever you wish to be immediately included in your Reports. If you migrated from an earlier Valbiz release this tab will be populated with your earlier Valbiz versions property details including changes you have made, and have the name "Alternative Details (Archived)". What happens to any images I have added to historic property records? All imaged in your system prior to upgrading to V8 will still be available after the upgrade. They may however have been optimised to allow speedy transfers via our hosted services. I hear you are moving to NZ Fire Service suburbs... what does this mean and how can I use it? This gives you a better general location of the property compared with Localities and will give more accurate searching options. The collection of properties within each suburb has been defined by the NZ Fire Service. How are Cross leases handled e.g. will there be a separate property record for each unit in a cross lease? Yes there will be. The system is still Valref centric so each Valref/cross lease, will have it's own property record. Will Sub Properties still exist and what happens to any I’ve created in the past when we move to V8? This will work the same as in earlier releases. Sub Properties are only really needed when analysing elements of a Valref, eg a one of several retail outlets within a single Property (Valref). What happens to the ‘Cluster Property’ functions. Earlier Valbiz releases had the ability to cluster together a group of Valrefs so the resultant 'Cluster Property' (collection of properties) can be analysed. This may be used to represent a farm which crosses multiple Valrefs. This functionality will not change in V8. What roll and assessment numbers will be used for Auckland properties? The correct ones! The ones currently used by Auckland Council, however any historic ones will also be available, listed in an Alt Roll & Alt Assessment/Suffix to you on that property record and can be searched on in the Key Field Search. Will images of the properties be available? QuickMap will provide an aerial and a map of each property. In the near future we expect an add on to be made available whereby listing images from realestate.co.nz will also be show on a property record. Additionally the Photo Manager has been bundled into the product as standard so you can now hold as many images as you like against a property record. Will there be new overview Property Reports? Yes. The old Property reports have been revamped and improved and now include the new information available. Will we need training to use the new features? In general no we don't think that will be necessary. We have tried to make the new Property features intuitive. If you plan to use the job tracking and invoicing capabilities for the first time please let us know and we can help configure you system with you. We have How To's to show you how to set up jobs (Matters) and Debtors as well as generate an invoice. If you decide to use the Reporter for the first time, we may need to spend a little time with you (remotely) getting you familiar with its operation. Do we have to be hosted to move to V8? In most cases yes. This is the best way to ensure your unique Valbiz system is in an environment that provides peak operating performance for all our users. We will manage all data updates, software upgrades and database backups for you. If you have a unique environment and still wish to host your own database please contact us so we can accommodate you. Can we still grab Google Street View and aerial images? Yes you can. This is available on a property by property basis and not a bulk download. Will new Rating information be automatically loaded and will if overwrite the previous details? All council provided property related data will be loading into your hosted Valbiz including rating data as it’s released by the councils. The most recent rating information will be shown on the Property 'Council Details' tab with the history shown on the 'GV History' tab with most recent at the top. Will there be information relating to the number of bedrooms? Do I have to have a QuickMap license to see the Property images in Valbiz? No. Headway pays for a general license that allows us to display the a map and aerial with boundaries within your database. There will be a small monthly fee to access the anticipated realestate.co.nz images when the shortly become available.